I was browsing through my camera and I came across this photo from the summer – it seems almost unimaginable that Britain is warm enough to grow strawberries when the weather is so cold and wet today. I spent all summer watering this strawberry plant and guarding it from squirrels, and here they are. 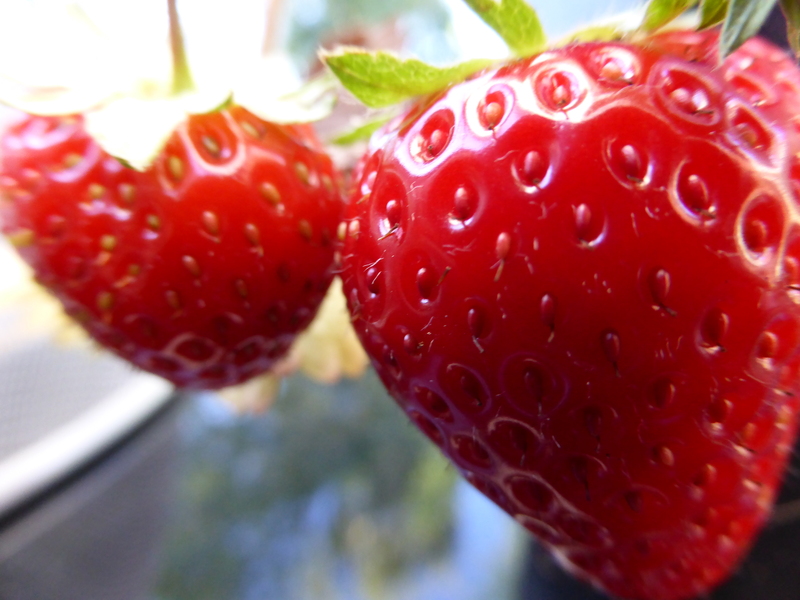 My two summer strawberries. Not as nice as cherries. Mmmmm Mmm. Five cherry cakes for elevenses. Marvellous! Slow down, you’ll have eaten them all before I’ve even posted the recipe on The Lady in Waiting!! !